Last week, I was able to clip my own toenails for the first time in months. Suddenly, I had confidence that any day soon, I might be able to reach all ten toenails with the nail polish remover and that day was today. The wintery pale blue applied a scant few weeks after surgery came off and I clipped sharp corners off my nails. Then I applied a springy yellow-green, like the earliest buds, and sat still until the polish dried, after which I did a bit of shaping. It’s not launching my first satellite, but being able to take care of myself again beats the alternative all to hell. Yes. Right now, my Docs are empty. 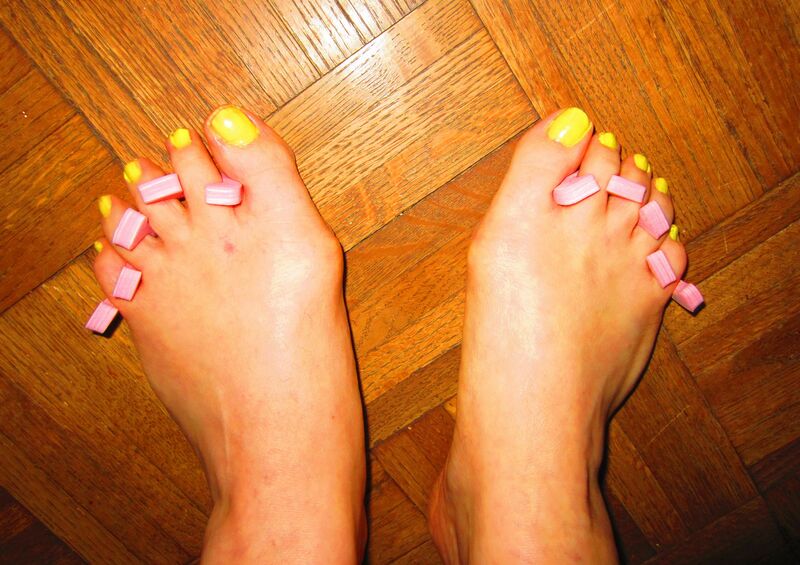 Related: if your dude comes home and finds you polishing your toenails with a color he does not love, remind him that he won’t care when he’s wearing your thighs like ear muffs. This entry was posted in This Never Happened To Pablo Picasso and tagged ear muffs, toenails. Bookmark the permalink.